Questions about the relationship between the Catholic and Orthodox Churches. In 1054, what were the reasons listed for the excommunication of the Eastern Orthodox Church? The bull of excommunication only excommunicated Michael Cerularius, the Patriarch of Constantinople. It was not intended to be a blanket excommunication of the entire Eastern Orthodox Church. 1. Simony, the selling of Church offices, which was actually a major problem in the West at the time as well. 2. Rebaptizing Latins, which was a false charge. 3. Allowing priests to marry, which technically speaking, doesn’t happen in the Orthodox Church. Married men are ordained as priests, but once ordained priests cannot marry. 4. Removing the Filioque from the Nicene Creed… this charge is particularly incredible, as the papal legate Cardinal Humbert (who composed the bull) appears to have been unaware that the Filioque wasn’t in the original text of the Nicene Creed. Unfortunately, when compiling this bull the Cardinal demonstrated a tragic ignorance of Eastern Christian customs, which resulted in a schism that has never been healed. Is the presence of third and fourth Maccabees in Orthodox Bibles (as well as Ps.151) acceptable from a catholic standpoint? If a reuniting of some or all of the Eastern churches with the Catholic church were to take place, would these books have to go? In the first millenium the disagreement on the Old Testament Canon was not an obstacle to full communion. For that reason the Vatican does not consider it an obstacle today. There are much bigger fish to fry. But I’ve also heard that there are different variations used among the Orthodox Churches themselves! If the Orthodox were the true church founded by Christ they would all use the same Bible and they don’t. This is not a fair criteria. Yes, there are certain (minor) variations among the Orthodox Churches concerning the Old Testament canon. However, these same variations existed when they were in full communion with Rome, and were part of the Catholic Church! Does that mean that for the first thousand years the Catholic Church was not the true Church founded by Christ? Aren’t Orthodox Christians schismatics since they refuse to submit to the Pope? I believe that it is best to follow the current teaching of the Magisterium and the example set for us by our Holy Father, Pope John Paul II. He has spent a considerable amount of energy working towards reconciliation with the Orthodox Churches, and never once has he denounced them as “schismatics” or “heretics.” For us to begin hurling such derogatory names would be counterproductive, and on a large scale would sabatoge his efforts. If we are indeed faithul to the Holy Father, we must honor his wishes and address our Orthodox brothers and sisters with love and respect. Do Eastern Orthodox Churches issue annulments? Are these annulments considered valid by the Catholic Church? The Eastern Orthodox have a different understanding of marriage and divorce than Catholics do. For starters, Eastern Orthodox Churches do not issue “annulments.” Instead, they issue “ecclesiastical divorces.” In practice these are very similar to annulments, and require an investigation of the relationship. Ecclesiastical divorces, unlike annulments, acknowledge that a marriage was actually present, and then fell apart. Annulments, in contrast, decree that a marriage was never truly present. An ecclesiastical divorce is only granted for very good reason, after thorough investigation. Intesestingly enough, this is a difference that predates the schism of 1054 by many, many centuries. The reason for this difference is because of the Eastern theology of marriage. In the West, the sacrament of Marriage is administered by the couple, with the priest serving as a witness. In the East, the sacrament of Marriage is conferred by the priest onto the couple. Hence, in Eastern theology, every marriage celebrated by a priest IS a valid marriage. This is a very ancient difference in understanding, which was elucidated by numerous Eastern Church Fathers. Today Eastern Catholic Churches also issue annulments instead of ecclesiastical divorces. I am not sure how one would reconcile the doctrine of indissolubility of marriage in the Roman Catholic Church with the practice of ecclesial divorce in the Eastern Churches since the fourth century, because as you know there was union between the Churches at that time. Unless it was the case that the Roman Catholic Church may have had a more lenient view of divorce in the sixth century. The system of annulments has been one that evolved in the life of the Church. Prior to the evolution of this system, there were differing opinions as to how to deal with divorced and remarried Christians. The Eastern system of ecclesiastical divorces was one such attempt to deal with this problem. Ecclesiastic divorces were very rare, and were only granted after thorough investigations. They were not an everyday occurance. During the first millenium, the Eastern ecclesiastical divorce system was not considered an obstacle to unity. Of course, the theological understanding of the Catholic Church has developed considerably since the first millenium. In the event of a Catholic/Orthodox reunion, I imagine that the Orthodox will have to adopt the annulment system. Although the theology is different, in PRACTICE an ecclesiastical divorce is almost identical to an annulment. But it is the theological difference that is the problem. Is it correct to conclude that the teaching of the Catholic Church has changed from what it was in the fourth century and later to permit ecclesiastical divorces, to what it is today, whereby it is taught that ecclesiastical divorces are not permitted? I wouldn’t conclude that “the teaching has changed,” but rather that the praxxis has evolved. When the Christian religion was first legalized in the fourth century, there was no uniform way to deal with divorced Christians. The mind of the Church has always held that divorce is objectively evil, but the pastoral dilemma of how to deal with these people is a different matter. Ecclesiastical divorces were one attempt to handle the problem in a firm yet sensitive manner. The annulment system was another attempt, which didn’t actually evolve into its present form until later. In both cases the Church taught the objective evil of divorce, but was searching for a way to pastorally re-integrate the victims of divorce into the life of the Church. In the end the annulment system won the day. The Eastern Orthodox Church ceased being in communion with the Catholic Church in 1054 AD, so they are still using the previous system that dominated in the East. Is it licit for a Catholic (east or west) to receive the Eucharist in an Orthodox Church, and vice-versa? Can a Catholic fufill their Sunday obligation at an Orthodox Church? The situation concerning intercommunion between Orthodox and Catholics is tricky. Following Vatican II, Pope Paul VI lifted all excommunications against the Eastern Orthodox. Likewise, Patriarch Athenagoras of Constantinople lifted all excommunications against Catholics. So, judging by this action, it would seem that we should be back in communion. But we aren’t. If we aren’t excommunicated from one another, but aren’t in communion, then what the heck is the status of our relationship? As the matter now stands, Eastern Orthodox bishops do not allow Catholics to receive the Eucharist. We should respect their discipline, and refrain from doing so. When there is no Catholic Church nearby, you can fulfill your Sunday obligation by attending an Eastern Orthodox Church without receiving the Eucharist. In contrast, Eastern Orthodox Christians are welcome to receive the Eucharist in any Catholic parish, but only if their bishop allows them to do so. Has the Church been trying to bring the Coptic Church into the Catholic Church? How many people are in the Coptic rite of the Catholic Church? Indeed, Pope John Paul II has made much effort to bring about a reconcilation between the Coptic Orthodox Church and the Catholic Church. One of the greatest triumphs in this effort has been in the area of Christology. Originally, the Coptic Orthodox Church split over the issue of Christ’s nature. Does Christ have one nature or two? The Catholic Church has taught that Christ has two natures, one human and one divine. The Coptic Orthodox have traditionally held that Christ has only one nature, composed of the human and divine, but emphasizing the divine. This was called Monophysitism. Through much dialogue, it has been determined that the Coptic Orthodox no longer hold to the Monophysite heresy. In fact, it appears to some that the original dispute had more to do with language differences and political motivations. Pope John Paul is on excellent terms with Pope Shenouda, the leader of the Coptic Orthodox Church. Today, there also exists a smaller Coptic Catholic Church. It has a total membership of approximately 210,000. How can the Orthodox deny the clear scriptural evidence for Papal primacy? Concerning the Orthodox view of the Papacy, it is far more complicated than it appears. Concerning the scriptural passages that you mentioned, the Orthodox actually believe in Papal primacy. They believe that Christ called Peter to be the first among the Apostles, and that his successor in Rome was gifted with a special charism of leadership. The Eastern Orthodox believe, however, that the Papacy began to misuse this power in the eleventh century. By claiming universal jurisdiction, they believe that the Papacy overstepped the primacy given to it by Christ. Of course, I think that this is really a smokescreen for even deeper issues. German Roman Catholics were having numerous squabbles with the Eastern Churches during this period in history. Because the Germans had much easier access to the Pope’s ear due to geography, it appeared that the Popes favored the Germans over the Easterners. The situation reached an apex when Cardinal Humbert, a papl nuncio who was defending German interests, excommunicated the Patriarch of Constantinople without the knowledge of the Pope. In fact, the Papal throne was vacant when this happened. Nonetheless, the Eastern Orthodox felt betrayed by Rome, and became very suspicious of Papal authority. This was a very tragic event in Church history, and it is my hope that this terrible rift will soon be healed. Would the Catholic Church agree that a key to ending the schism with the Orthodox is making clear that the Pope’s role as Vicar of Christ, as head of the Universal or Catholic Church, is different and completely separate from his role as patriarch of the Latin Church? While not explicitly stating the seperation of roles, this seems to be the direction that the Catholic Church is moving in. This is clear from the fact that the Catholic Church has been vigorously reaffirming the traditional rights and privileges of the Eastern Patriarchs. In the past fifty years we have been blessed to see the role of the Patriarch appreciated in the Catholic Church once again. The role of the Pope, as head of the universal Church, is first and foremost to assure the unity of the Churches. Pope John Paul explains that “With the power and the authority without which such an office would be illusory, the Bishop of Rome must ensure the communion of all the Churches. For this reason, he is the first servant of unity,” (Ut Unum Sint, no. 94). The Pope has authority from Christ. However, this authority is not so that he can reign as a dictator or monarch, as non-Catholics sometimes think. Instead, this authority is given so that he can assure unity. As the Holy Father explains, it would be impossible to assure the unity of the Churches without possessing the necessary authority. This new ecclesiology really isn’t new at all. In fact, this is the ecclesiology of the early Church. I believe that a strong emphasis on the rights of the Patriarchs, coupled with a proper understanding of the Papal ministry, will eventually end the schism. All in all, things are moving in a very good direction. I am especially grateful to Pope John Paul II, who has gone out of his way to make this happen. The man is truly a living saint. How do you reconcile Papal Infallibility with Byzantine theology? This line of conversation went on for several minutes, with my friend emphasizing the necessity of “submission to Rome.” There was no mention of Jesus or the Gospel message. This Asian man was noticably disturbed, and quickly excused himself before I could get more than a word in. That was a lost opportunity. This issue is at the very heart of the Orthodox / Catholic split. Eastern Orthodox Christians erroneously think of the Papacy in terms of “submission” to an earthly power. It doesn’t help when some of us call them heretics and demand that they “grovel before the mighty throne of Peter.” Orthodox Christians find this approach to be very distasteful, and it keeps them very wary of reunion with Rome. The fact of the matter is that the Papacy is a magnificient gift for the benefit of the Church. The Papacy does not exist for its own benefit, but for the health and well-being of the entire Catholic Church. Pope John Paul has been stressing this in all of his contacts with the Orthodox world. When understood in this light, the Papacy actually becomes appealing to Eastern Orthodox Christians. 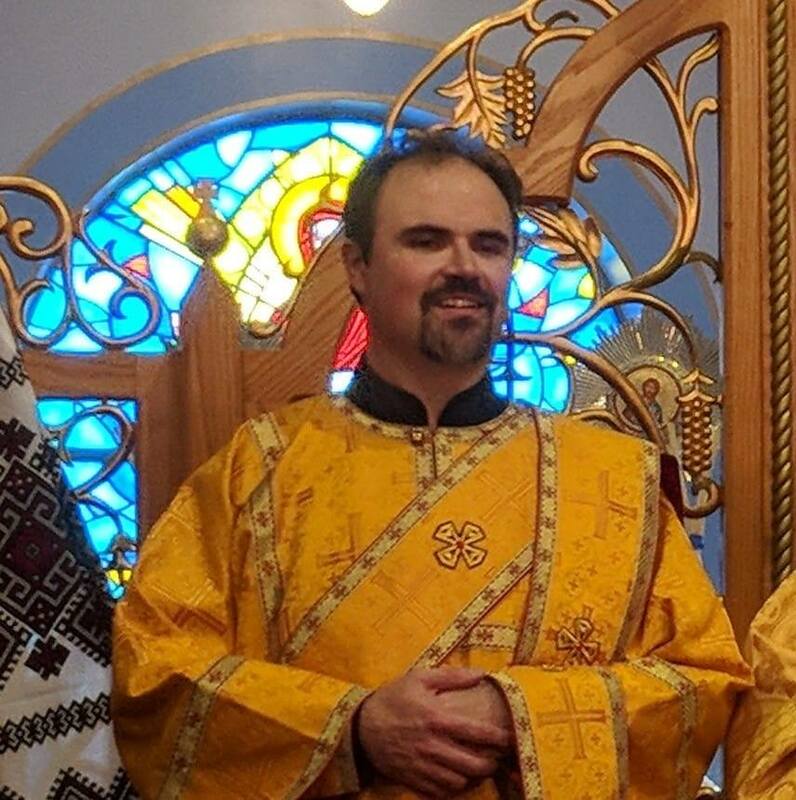 In fact, I personally know of at least one former Orthodox priest who joined the Byzantine Catholic Church because of this positive understanding of the Papacy. Likewise, the great authority of the Pope only makes sense when understood in light of the Pope’s role as servant. This authority was not bestowed for the Pope’s own glory. Rather, this authority was given by Christ as a tool to be used for the benefit of the Church. For a better understanding of the Papacy, and it’s past and present relationship with the Eastern Patriarchs, I would highly recommend reading “Rome and the Eastern Churches” by Fr. Aidan Nichols, OP. Father Nichols is a Roman Catholic priest, and a theologian highly respected in both the East and the West. Unfortunately this book is now out of print, but you can order it from interlibrary loan. Why are the Orthodox unwilling to accept papal authority? In theory most Orthodox theologians accept the notion of papal primacy, but there is much debate over how it should be exercised. Pope John Paul II explicitly mentioned this in his encyclical “Ut Unum Sint,” and stated that he is open to a “new situation” with regards to how the papacy would function in a reunited Church. I tend to think that many Orthodox Christians are wary of what papal primacy would mean to them. Because of historical injustices, some Orthodox Christians are suspicious that papal primacy would be used as a tool to eliminate their traditions and impose latin theology, spirituality, and discipline on them. The (sometimes troubled) history of certain Eastern Catholic Churches only confirms this suspicion. It is necessary for the Catholic Church to demonstrate a real and tangible respect for Eastern Christianity, which has been happening more and more during the past century. When the Orthodox are truly convinced that the Catholic Church values and respects them and their traditions, many of the obstacles to reunion will melt away.